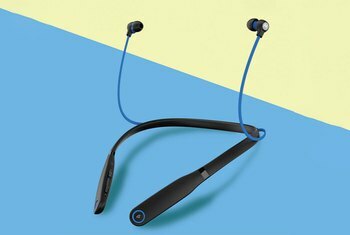 The headphones are water- and sweat-resistant, so you can wear them while exercising and out in the rain. Effective sound isolation and noise reduction makes them great for noisy and distracting environments. Some users report that wind noise while running makes them a poor choice for use while exercising. The BT 100 NC design can be confusing and complicated at times--the controls can be hard to use while exercising, for example. The sound quality has been criticized as only average, with significant audio sacrifices to accommodate the small and light form factor. 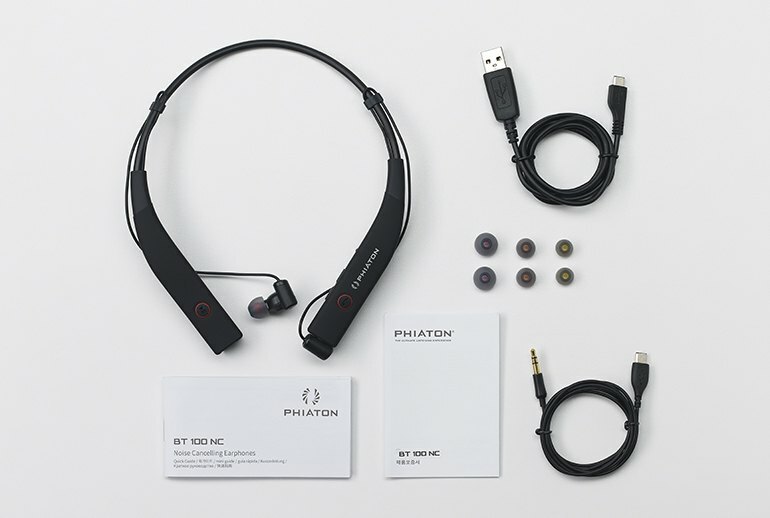 The Phiaton BT 100 NC puts its core features right in the product name: It's a set of Bluetooth earphones with integrated noise cancellation. 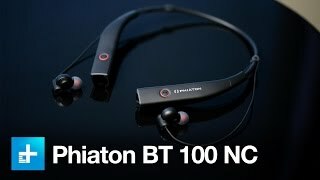 The BT 100 NC uses the relatively new wraparound style, with all of the electronics embedded in the lightweight base that sits on your neck and with the earbuds extending out on short, adjustable wires. 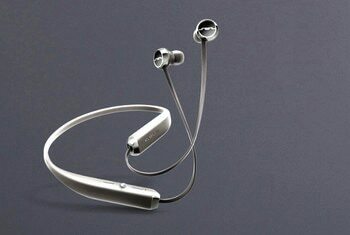 The headphones are water resistant, meaning they're designed for wear during exercise like jogging. 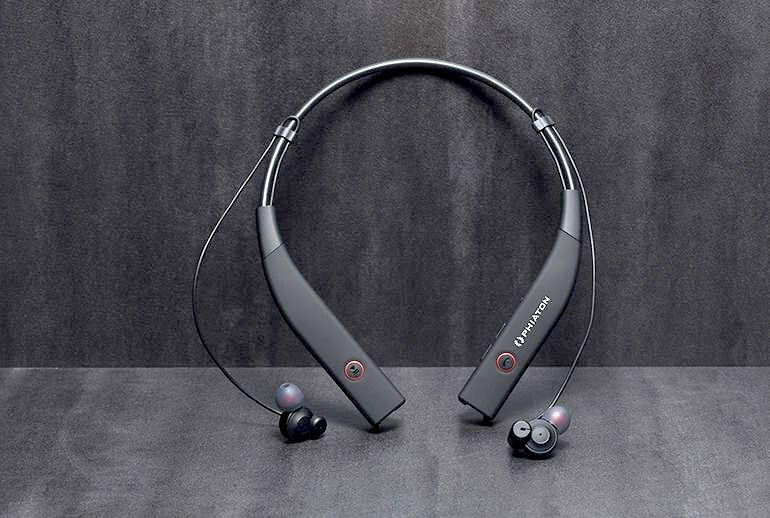 If you wear them indoors, you might also appreciate the fact that they can connect to multiple devices simultaneously, so you can listen to music on your PC while also using the BT 100 NC to take calls from your phone. 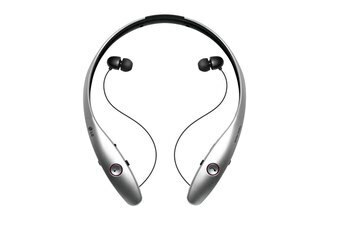 The collar not only rests comfortably, but also provides the room necessary for the wire-attached earphones to not be pulled or yanked down when moving. While I initially experienced tugging when swiveling my head, adjusting the slack in the earphone wiring alleviated the problem. The design of the earbuds themselves are incredibly not aerodynamic. Why is this an issue? Well if you plan to run, ride your bike[i do] or anything else that outside of sitting wind noise becomes an issue. 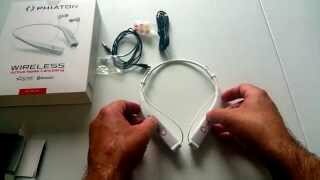 The noise canceling cannot do anything about the poor design of the ear buds themselves. The only other issue I had was when using the Phiaton's during high impact workouts, like running. The neck-set does tend to bounce a little when I'm running, but it stayed put during all of my lower impact activities, like the elliptical. With so much functionality, we expected a reasonably hefty price tag, but we were shocked to learn the BT 100 NC are expected to debut “soon” with a $120 MSRP. That’s just $20 more than Sol Republics similar Shadow headphones, but with slightly better sound quality and noise cancelling tossed in the mix. The BT 100 NC is sophisticated, but a little complicated. When you’re not listening, you can secure the buds in the hollow ends of the neckband—a feature we like because it feels less dangly that way. And when you’re ready to pop the buds into your ears, you can use little rubber sliders on the sides of the band to adjust the amount of wire slack—which sounds nice, but felt a bit unnecessary the more we used them. This is not what one would choose for chilling about the house, listening to favorite tunes – the company has its own better options for that. 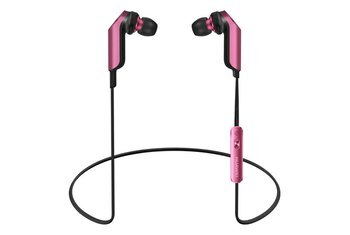 But for trips, travel, sweaty workouts, noisy environments, or any combination of all that, the BT 100 NC's are worthy of consideration. 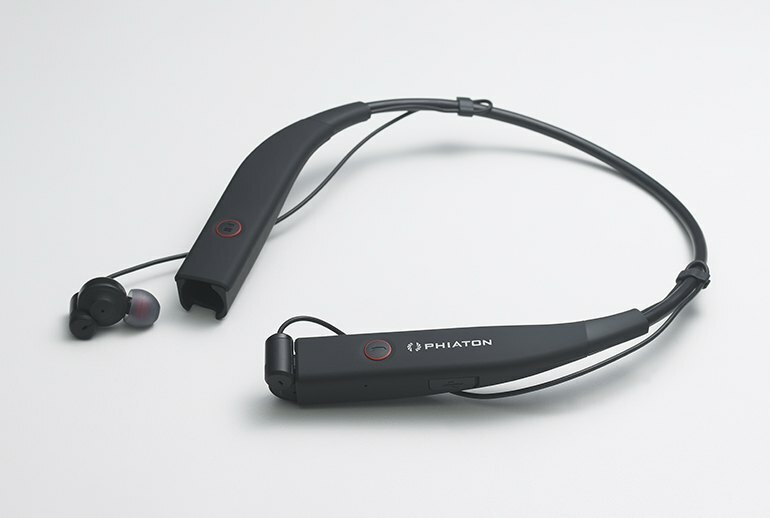 Phiaton’s active noise cancelling technology works particularly well with these buds, as they achieve an excellent seal thanks to supple silicone tips.